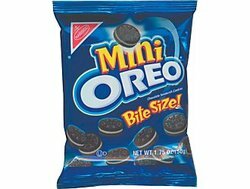 Mini Oreo's. Americas favorite cookies in convenient mini form snack packs. Each bag contains a perfect 1.5 oz, snack size portion.